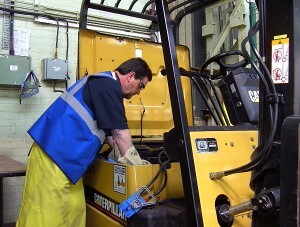 To secure forklift training in Wigan that fits around you and your company, give Pro-Lift a call. We can provide staff to fulfil your training needs round the clock, we work 24 hours a day and seven days a week. This flexibility is designed to cause minimum disruption to your production commitments and your employee’s work load. Also, we believe that training in familiar surroundings and on the actual equipment a candidate will be using, gets the most beneficial results. If you need Novice Training or have drivers who are currently using forklift trucks and need Refresher Training, our instructors can deliver the practical exercises and theoretical knowledge they need to achieve certification. Our forklift training in Wigan is tailor-made to suit your particular working environment and the tasks your staff are expected to complete. Our team can also research any accidents which have taken place on your premises and write a thorough Root Cause report, detailing any changes that can be made to avert a similar incident. If you are considering taking on new employees, our Company Assessment can help make the process run smoothly and get you the best person for the job. As a responsible employer you are obliged by law to give the proper training to any member of staff who is expected to drive a forklift. To ensure your business meets the HSE regulations in this area give Pro-Lift a call for more information and a chat about courses we offer.